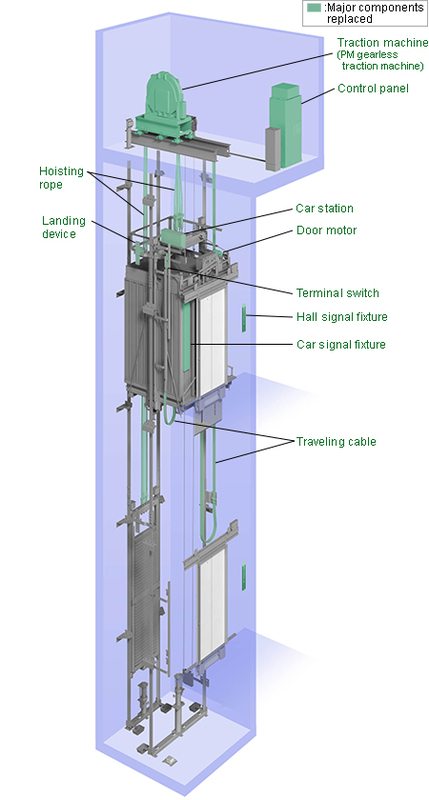 Elevator Modernization - Why Modernize My Elevator? Though a well-maintained elevator may last 20 or more years, eventually you will need to upgrade your major components or completely modernize your device. With careful planning, modernizing your elevator can be a strategic capital investment instead of an emergency situation. Unlike maintaining current functionality and operation through maintenance,system modernization provides improved comfort and operation utilizing the latest functions and control equipment. 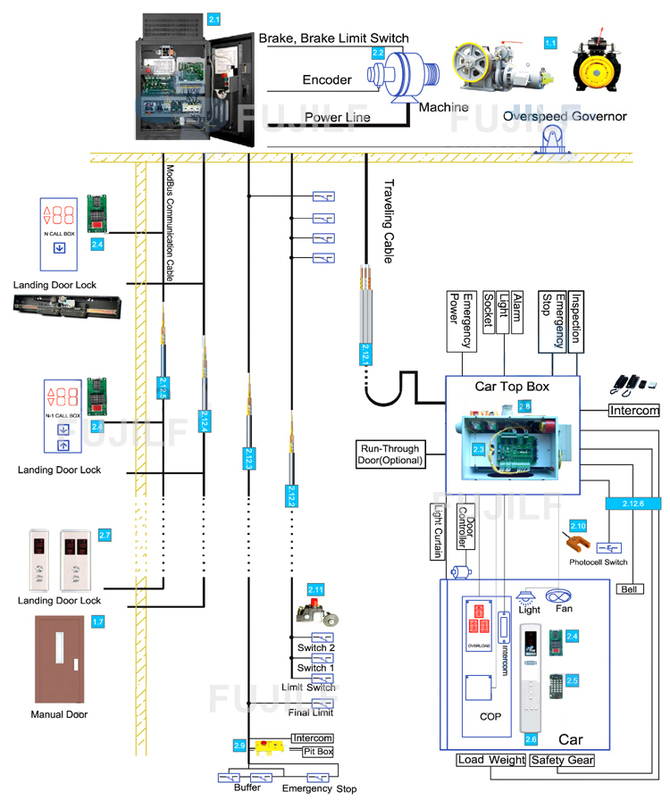 The target components in this menu are the traction machine and control equipment. The new efficient traction machine is a gearless traction machine with permanent magnet motor (PM). It can reduce vibration and noise as well as energy consumption. In addition, the latest group control system, which becomes applicable by the control equipment replacement, is effective for improvement in operational efficiency and reduction in energy consumption.